It is International Arts Education Week, a celebration first set up in 2012 by UNESCO to “unite humanity in the diversity of its cultures and expressions.” Art is a great way for children to learn, express themselves, be creative and develop socially. 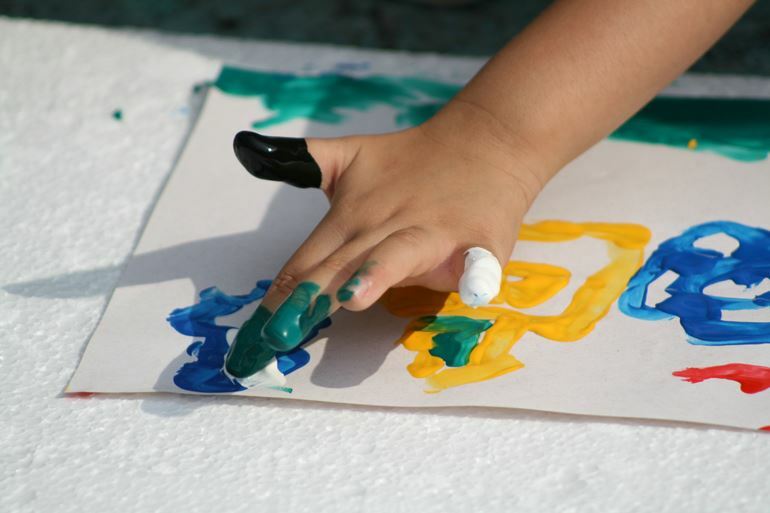 Research in America has found that allowing young children to play with art materials can aid their development in many ways. The National Institutes of Health discovered that by 3 years old, children should be able to draw a circle and start to use safety scissors. By 4, they should be able to draw a square and cut in straight lines. By letting your children do this it will improve their motor skills as they are learning different motions. Language skills can also be improved with art. The colours, shapes, sounds and actions used to do different forms of art are all things a child can talk and learn about. This prepares them for primary school life where they should be able to describe what they’re doing. Decision making, inventiveness and cultural awareness also benefit as children have the freedom to make their own decisions. The choice of colours, materials, the music they hear and even people they see on a daily basis will affect their development and their art. Finally, a big one that the Americans for the Arts found is that it can improve a child’s academical mind. Those that regularly participate in the arts are four times more likely to succeed in maths, science or English. Read more about how art aids child development. 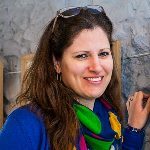 I caught up with artist Amelia Bowman to discuss how she got into art, how she thinks it can help children’s development and where she would display kid’s art in her home. “Art is an incredibly important part of developing as a human being. Even if you aren’t going to pursue it as a career it has many important developmental properties from spatial awareness to self-expression – art is incredibly cathartic and life affirming to make. I have been making and creating my entire life with early memories of being in a high chair and being handed loaded paintbrushes to daub about on paper by my Mother! I come from a fairly long line of female artists working with oils, watercolour and sculpture so it’s in my blood and I couldn’t be anything else but an artist – I am driven to create! My discipline is collagraph printmaking with digital elements and is a culmination of a lifetime experimenting with everything from precious metals to plastics, product design to fine acrylic painting all the way through to sculpture, textile design, graphic design and illustration. I feel strongly that my wide creative experience is the main foundation of the person I am today. 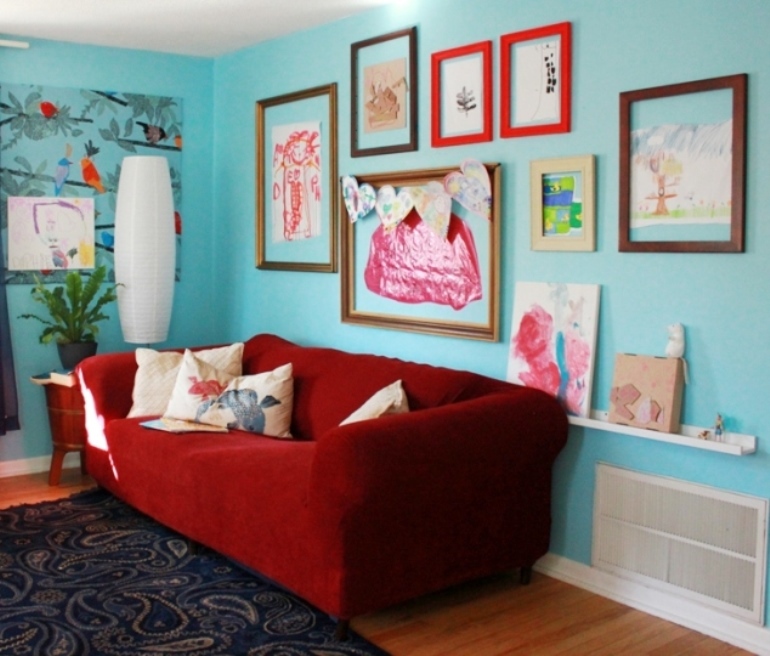 I love the idea of having a feature wall of your children’s artwork, especially using the clipboard approach as it is not only unusual but practical as it allows for quick and easy updating as your child makes new work. I think the simplicity is vital too as especially with young children’s work the images can be quite chaotic and are best emphasised by a clean, minimalistic approach. Putting the work on display shows the child that its efforts are appreciated which has life affirming properties of its own. If you are in Norfolk over the next couple of weekends and have a keen interest in art, Amelia is having an open studio. For more details, click here. Now we all have painting time with our kids, but where do you display them? Sure, you may not want them up forever, but you should give them an area to put their Persistence of Memory in your home…it can make a really cool feature for a room! They don’t have to be the next Picasso or Van Gogh to have their work framed. Gather old frames and put them up on either their bedroom wall, a hallway wall (it can brighten this area up) or if you’re feeling particularly proud, in the living room for all to see. You can buy magnetic frames too if you’d rather stick to the tradition of displaying it on the fridge. How Does She has a great guide on making your own magnetic frames! For a more interchangeable art display, try making your own wooden clipboards – they look great with a shabby chic or Scandinavian themed room. Alternatively, you could paint them in bright colours to put in your kid’s bedroom! If you’d rather something a bit easier to put up, try using trouser hangers. Get wooden ones so they can be decorated and personalised by your little Da Vinci and then you can hang their rendition of the Mona Lisa from it. 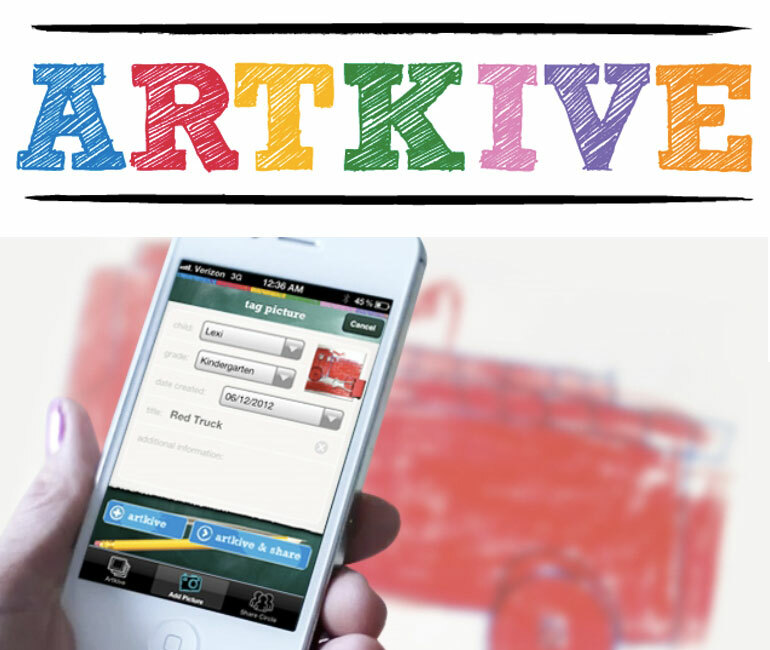 If you’ve not got the wall space for this, but you want to keep hold of some of the fine pieces your child has created over the years there’s a new app called ArtKive that collates it all for you. You take a picture of it and add tags, descriptions and dates to it. You can even get your kids’ art printed into a book (Only if you live in America)! 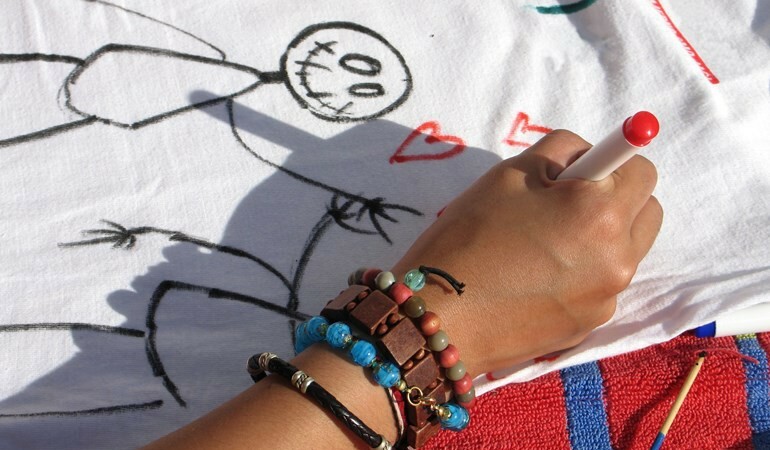 If you have a fun way to display your child’s art, we’d love to see it! Drop us a comment below, or post a picture to our Facebook page.